If you’ve got kids you need everything at your disposal to make traveling easier. Here are the seven best lightweight baby strollers to add to your toolkit. Tired of lugging that heavy baby stroller around? Your kids are growing fast and weigh enough as it is. Why not lighten your load by adding some lightweight baby strollers to your toolkit? Believe it or not, you can probably find a much lighter baby stroller than you’re currently using. Historically, original baby strollers, known as prams, were very heavy. Now, there are plenty of excellent options for parents looking for a lighter alternative to their current baby stroller. Many of these are just as feature-packed and easy to use as the heavier alternatives. These strollers also offer plenty of weight capacity that will serve your child well as they grow from an infant into a toddler. While there are many lightweight baby strollers out there, this list will give you the scoop on the very best of the bunch. Why Buy Lightweight Baby Strollers? While there are many great basic umbrella strollers and full-size baby strollers, a lightweight baby stroller has its own particular benefits. A lightweight baby stroller bridges the gap between the two extremes. It is light enough travel with and carry, while it is just as full featured as a full-size stroller. It also folds up easily and is very portable. Many parents use lightweight baby strollers for everyday use. They can also be an ideal solution when traveling with infants and young children. Despite being light, these strollers also have many amenities and features found on their heavier alternatives. 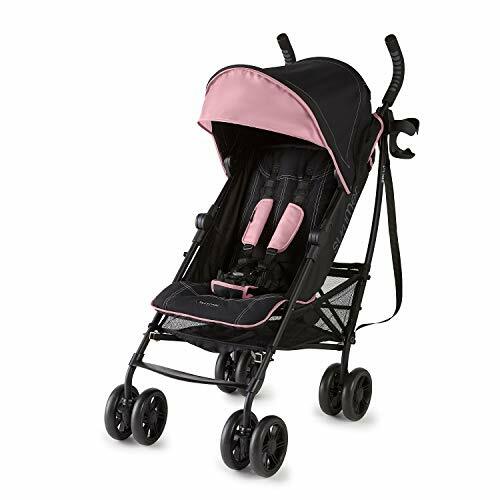 Large canopies, storage baskets, and even cup holders and trays can be found on these strollers. Still, these lightweight strollers weigh under 20 lbs, making them the most versatile class of baby stroller money can buy. When trying to decide on an excellent and the best lightweight baby stroller, there are several main things that you’ll want to consider. Whether you’re buying your first baby stroller or switching to your first lightweight stroller, there are a lot of standard features you may want to consider. Here are some of the top things to consider when shopping around for lightweight baby strollers. When choosing the ideal baby stroller you’ll want to think about the size and weight. Most of the strollers in this class of baby stroller will be under 20 lbs. If you’re looking for the lightest option possible, you can also find some that are only 10 or 11 lbs. There are also a range of sizes that you can choose from under this type of stroller. Some strollers will be made specifically for older infants and toddlers while some strollers will be suitable for infants from birth. Weight capacities can typically range anywhere from 30 lbs to 60 lbs. Be sure to take this into consideration when determining which lightweight baby strollers are ideal for you and your family. Although it may be surprising, strollers can lead to injuries in small children. It’s important to only use strollers with adequate safety features. Look for a stroller with safety functions such as a trustworthy restraint system, brakes, and sturdy, rugged wheels. Look for a large sun canopy to protect your child from harmful UV rays. While all of the strollers on this list are lightweight, there are still some portability features to consider. Some strollers will have an easy to carry handle, and some will be able to fold up to a greater extent than others. As we mentioned before, one of the best thing about these lightweight strollers is that they still include plenty of features. Consider what you need and what features are important to you. Do you need a sun canopy? Would you like cup holders or storage baskets? These are all things to consider when choosing a great stroller. Now that you have a good idea of what to look for when purchasing a baby stroller, it’s time to go over our top picks. The baby strollers below are the best of the bunch and make for great choices for you and your family. 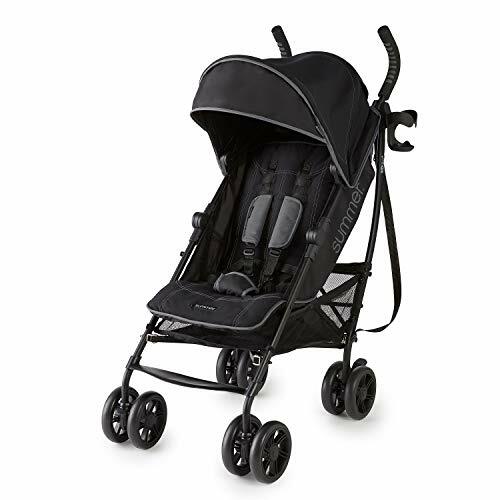 The Bumbleride 2016 Indie Stroller in Matte Black is one of the best lightweight stroller options you can choose from. Weighing just about 22lbs, it is very sturdy. This all terrain Bumbleride 2016 Indie Stroller is very well suited for active family. From the pavement to the trail, Indie adapts to your daily adventures called life. The Bumbleride 2016 Indie Stroller has a compact, lightweight frame, 12″ air filled tires and unmatched versatility. Other features included in this stroller are fully adjustable backrest, footrest and handle create a customized fit for you and baby. Weighing in at just about 17 lbs, the City Mini is a feature-packed baby stroller that is also incredibly portable. It is ideal for running errands and getting around with your child with unmatched ease. This stroller is lightweight, compact and nimble and built for mobility. Its sleek and practical design makes it the perfect choice for traversing the urban jungle. The Baby Jogger City Mini Stroller In Sand has a weight capacity of 50 lbs, lockable swivel front wheels, and a foot operated braking system. This is really a big contender when you are looking at the best lightweight baby strollers. 3 Wheel Stroller: 8″ EVA tire tread with lockable swivel front wheels and front wheel suspension. The Chicco Liteway is one of the best lightweight baby strollers on the market. The stroller boasts an excellent suspension system that allows for a seamless and smooth ride. It also has a lot of extra features and is incredibly easy to use. The stroller has a full recline capability that you can operate with one hand. The Chicco Liteway also has great steering abilities and can be easily folded and stored. The Chicco Liteway Stroller also has a removable storage basket. The solid frame is very sturdy and is great for everyday use. Overall this stroller is a great overall choice. It’s also cheaper than a lot of the other options on this list. Weighing in at about 17 lbs, the Graco LiteRider has no shortage of features. It has both child and adult trays and a spacious storage basket underneath the seat. The adult tray features two cup holders and a storage compartment, making for a great place to store cell phones, drinks, and any other small items you may need to have with you during a stroll. 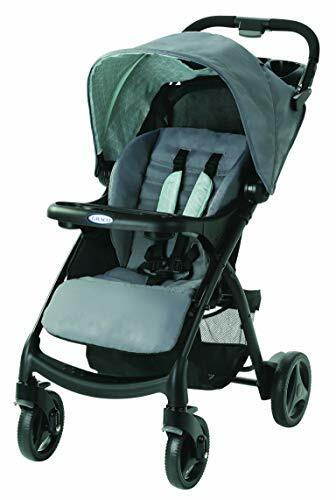 If you would like, you can also match this stroller up with a Graco SnugRide Click Connect infant Car Seat. The LiteRider is perfect for infants from birth and can hold up to 40 lbs of weight. Overall, this is a versatile and lightweight stroller solution that may be just what you’re looking for. 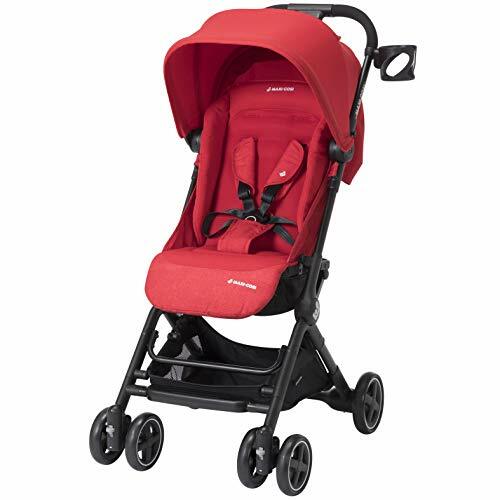 The Maclaren Quest is also a great option when it comes to lightweight baby strollers. The stroller is very light, coming in at 14 lbs, and offers an increased maneuverability that is hard to beat. The Maclaren Quest is perfect for one-handed steering. Other features included with the stroller includes a full recline function, a storage basket, storage pockets, and a quick folding mechanism. Maclaren also provides an excellent rain shield with this stroller. The stroller’s seat is washable and can be easily removed. The 2018 UPPAbaby G-Luxe Stroller is one of the most stylish baby strollers on our list and features an incredibly durable yet lightweight frame. When folded, the stroller even stands on its own. 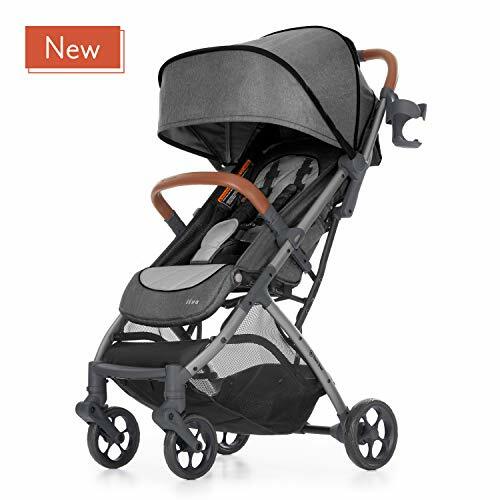 The stroller offers a sun canopy, perfect for keeping those rays off of your child. The seat is removable so you’ll be able to wash it easily. The whole stroller comes in at about 15 lbs, making this a great option and one of the best lightweight baby strollers you can find. Last but not least, the Quinny Yezz stroller is another great choice for your baby transport needs. This stroller is one of the lightest of them all and comes in at just 11 lbs making for an excellent lightweight and portable stroller option. 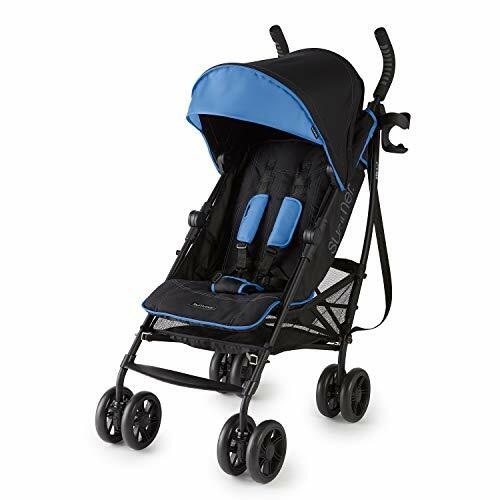 The Quinny Yezz Stroller Frame WITH Seat Cover (Blue Loop) also claims a unique and stylish 3D folding system and is ideal for travel. The stroller is made of extremely tough and sturdy plastic and is also water and dirt repellent. It is designed for children from 6 months old and up and will support up to 40 lbs of weight. If you’re looking for a portable, easy to use, lightweight baby stroller, you can’t go wrong with any of the above options on our top 7 best lightweight baby strollers list. Each one of these strollers offers a lightweight body mixed in with all of the features you can expect from a full-size stroller. These strollers truly offer the best of both worlds and have mixed sleek and portable designs with heaps of interesting features, storage spaces, and sturdy frames. Once you’ve made your decision about lightweight baby strollers, check out our lists of the best car seats for infants and the best car seats for toddlers. Do you own one of these baby strollers already? Leave a comment below to tell us about your experiences. The Metro stroller is packed with plush, cushy padding that supports baby's head, back, bottom and legs similar to Ergobaby baby carriers. Metro is a compact stroller small enough for subways and busses, and when folded fits in most airline overhead bins making it a great travel stroller! 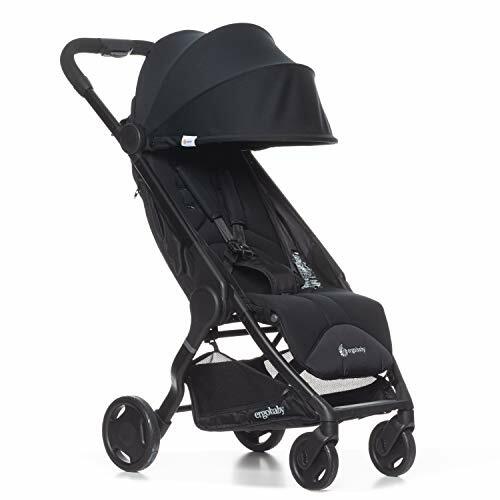 Spring suspension and large back tires easily absorb sidewalk cracks and curbs - providing a smooth ride for baby. COMPACT FOLD - The born free LIVA compact stroller has a one-hand, self-standing compact fold with a small footprint and lightweight frame (16 pounds). 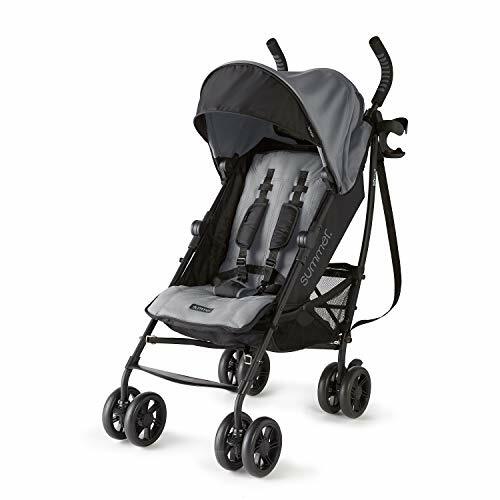 ALL-IN-ONE SOLUTION - This portable stroller can be used from birth with Graco SnugRide Click Connect, Chicco KeyFit 30, and Chicco Fit 2 car seats - no adapters needed! 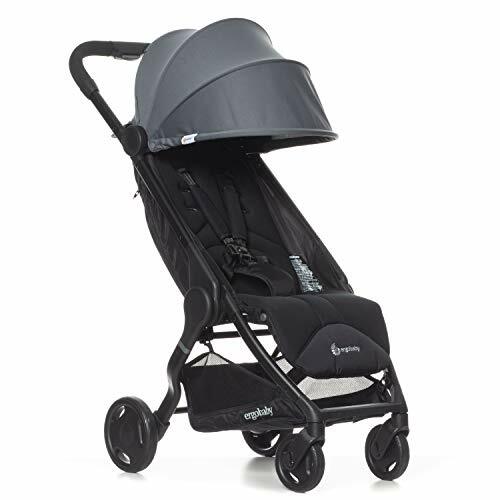 OVERSIZED CANOPY - Great to use as an umbrella stroller, the LIVA has an oversized canopy with pop out sun visor and peek-a-boo window. Which Are The Top 7 Best Lightweight Baby Strollers?